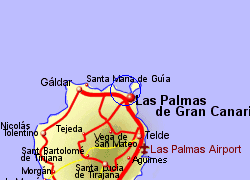 Las Palmas Golf has an 18 hole par 3 course opened in 2006, situated virtually within the city of Las Palmas, just 2km from the ferryport. 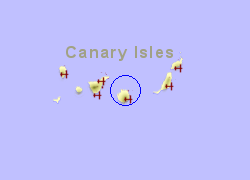 The first nine holes are described as a British style, and the second nine as an American style. This is a short par 3 course (46 to 107m per hole) with plenty of hazards including slopes, deep bunkers, and water. The par 54 pitch and putt course has a total length of 1237m. 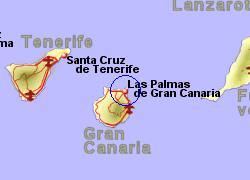 Facilities include a golf school, floodlit driving range, and a putting green. 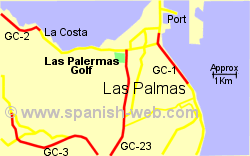 Map of the Las Palmeras Golf area.